Cancer is a disease in which cells at a particular site grows and proliferate in an abnormal, rapid and unsystematic manner in the body which results in the destruction of the healthy body tissues. Cancer can be Benign or Malignant depending on its property of invasion. 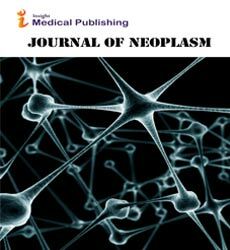 Journal of the National Cancer Institute. Monographs, Cancer Investigation, Cancer Genetics and Cytogenetics, European Journal of Cancer Prevention, International Journal of Gynecological Cancer, American Journal of Clinical Oncology, Cancer Nursing, Cancer Journal, Cancer Control, Cancer Epidemiology.